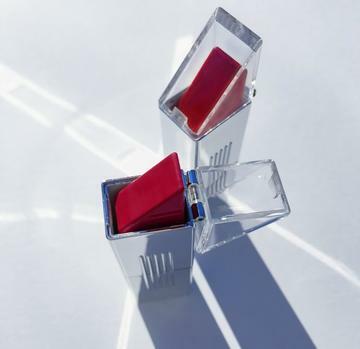 Lip: Apply with the flat for that iconic red(y) lip color. Cheek: Dab it on your cheeks to really warm things up Eye: Use the edge on lids or under eye for that memorable red eye. I wish they were more neutral shades. Such an odd shape to apply to your lips, but overall it is an ok lip stick. I really liked the formula and the packaging , just not the color I received it was a fluorescent orange. Would have loved a different color. This made the third shade of one of these lippies that I've received from all my monthly subs..and it's also my favorite shade!